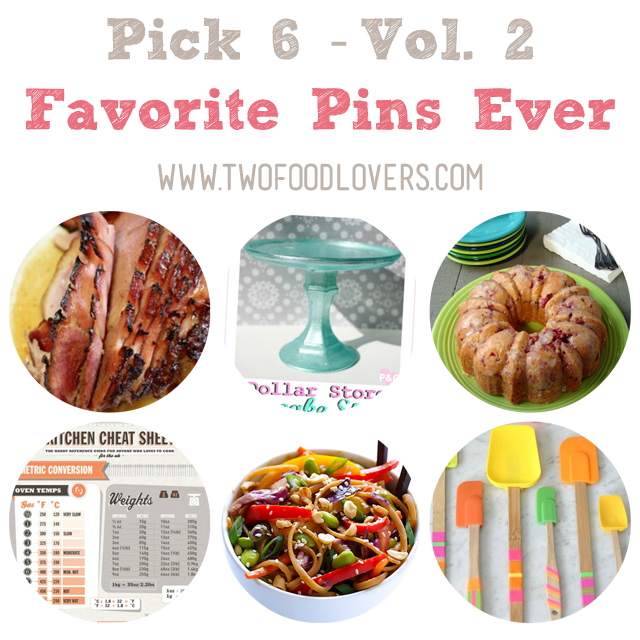 In this Pick 6, we share six of our favorite Pins of all time. 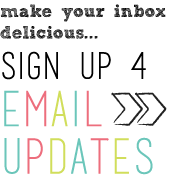 From food to crafts and beyond! So it seems like you guys really like when we share other recipes that we've enjoyed. We always get a really positive response from that and wanted to start sharing on a more regular basis. In this Pick 6 series we are sharing six recipes, crafts, ideas, etc. that we have found on Pinterest. It was incredibly hard to only pick 6, so you better believe there will be more posts like this to come. Dollar Store Cake Stands - I've made several of these because they are so cute and I feel that I need one in every color! Make sure to use paint that is made for glass, clean and fully dry your pieces before painting and always hand wash. For a few bucks, you can't go wrong. Strawberry Yogurt Cake - This cake is sinful. It's so fresh! It was one of the very first things I ever pinned on Pinterest. I've made this cake several times and absolutely devour it. Remember, I don't usually eat too many of the treats I bake. This is one of those exceptions. Obviously it's a good spring/summer dessert, but maybe winter needs a splash of fresh strawberries too? Kitchen Cheat Sheet - Anyone who spends time in the kitchen needs on of these. I love how thorough this one is. All in one printable. You might have to crop it to get it to print nicely. I just pull mine up on my phone when I need it. Rainbow Peanut Noodles - I'm lucky to have a hubby who will join me in meatless dinners some nights. I just get sick of meat sometimes, ya know? We cook mostly chicken and sometimes you need a break, but you still need substance. That's where this recipe comes in. We usually make a bigger batch and eat off of it for the week. We've made it countless times and it's one of Dave's favorite meatless meals. Ali at Gimme Some Oven takes some pretty amazing photos too. Washi Tape Spatulas - I'm going to make some of these this coming week. I LOVE them. How cute. I thought they would make nice gifts.